Foosball is a game where you have to be precise and accurate to win. While you need to have fast reflexes, you also need to know the rules of the game. 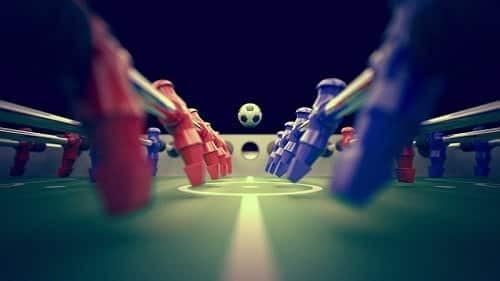 Our main goal in this article is to teach you every rule professional foosball players adhere to when playing in tournaments. In foosball, you have to maneuver 4 rods. You have a total of 13 foosball players to help score a goal. It sounds easy until you have to prevent your opponent from doing the same. Your main objective is to win while keeping your goal protected from the opponent's shots. Attached below is a table of all of the official foosball rules that you need to understand. 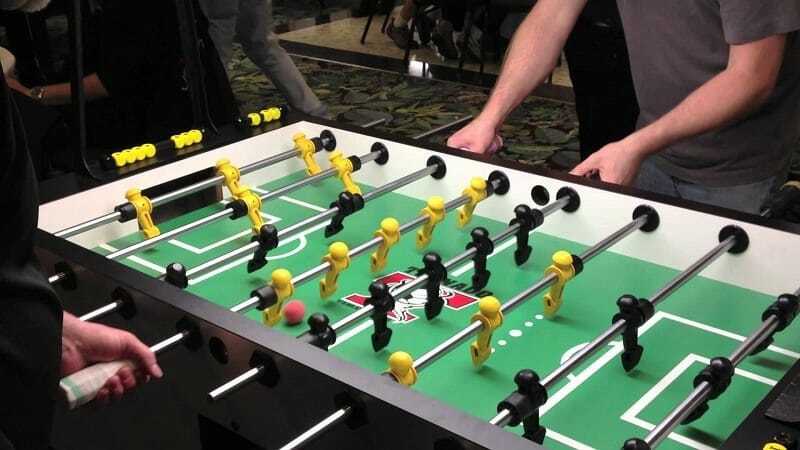 In foosball, a spin is when a rod completes a 360 rotation but doesn’t touch the ball. Professional Foosball rules spinning as a foul in most professional foosball tournaments. This is when a coin is flipped to decide who starts first in a foosball game. Once the first rule is scored, the team who was last scored on will serve the next ball. This rule is made to ensure that the game is fair for both players. Once a ball hits a rail out or comes out of the table area, it’s considered out of play. The ball is given back to the team that was last scored on. Jarring is when a player jams their rod against the wall of a foosball table in order to throw their opponents off balance. The rule states that there is no jarring in any game. This doesn’t count when a player moves their foosball rods back in forth as a defensive method. This rule was made to prevent aggressive play and keep the players from distracting their opponent. Dead balls occur when a foosball is stopped in between both the opposing team’s rods. The ball must be picked up and sent back to the person it was last served on. If a deadball occurs on the defensive side next to the defensive 2 bar, the defending player must move the ball back to its defensive position. 5 Bar Passing can be a difficult rule to understand unless you’ve played tournament foosball. When you have the 5 bar in position, you have a maximum of 10 seconds to pass it to the 3 bar rod. These are rules that everyone needs to understand if they plan on playing professionally. Understanding them will help you play in tournaments without losing any extra points. Make sure to play often with the rules in place to prepare for your next tournament game. To conclude, we believe that knowing the basic foosball rules will make you a better player. With these restrictions added, it allows you to play to professional foosball standards. If you want to become a better player, keep these rules in mind during your next game.